You may have heard phrases such as ‘real’ or ‘biological’ age, and how it may actually differ from your actual ‘chronological’ age. Research has found that there is at least some concrete basis for such concepts; including that the human ‘biological’ age has its own biomarkers and cellular ‘metrics’. A well-studied example is the methylation of certain DNA sequences. The amount of methylation, in which methyl groups are added to longer and longer chains over time, correlates to the age of the individual. Some researchers assert that this methylation profile can predict a person’s lifespan and even indicate their chronological age. 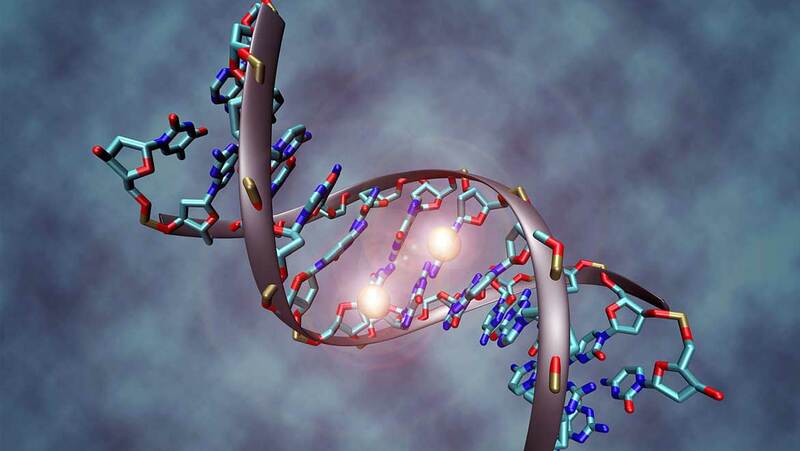 The biological mechanism behind the methylation has not yet been defined. A new report published in Nature Communications, has claimed discoveries that at least partially link methylation to a causative agent. This may lead to blood tests for the improved determination of biological age, which is known to influence the risk of mortality especially when compared to chronological age. Therefore, these findings may lead to improved life-long health metrics, particularly in the area of when a patient mortality. Many locations along the entire genome can be ‘aged’ based on how many methyl groups have been attached to specific bases (most often cytosines or guanines) over time. As this process involves the alteration of DNA without its expression, it is known as ‘epigenetic age’ or ‘the epigenetic clock’. Studies have shown that this ‘clock’ is correlated (to an equivalent of over 95 percent) to chronological age across the human lifespan. The epigenetic clock is particularly important to certain disciplines, including cardiovascular science and medicine: if the ‘epigenetic clock’ in leukocytes runs faster than the real age of the sample donor in question, this may indicate an increased risk of death from any cause. This phenomenon may be strongly associated with several risk factors, including age-related neurological conditions, obesity and the onset of menopause. The progression of the epigenetic clock relative to chronological age is known as epigenetic age acceleration, or EAA. EAA has both intrinsic (or the natural accumulation of methylation over time in the absence of external factors) and extrinsic components (or methylation that occurs in response to specific events, which may include biological or even psychological stressors). Extrinsic EAA (EEAA) is relatively well-studied, although IEAA (or the actual underlying, biochemical mechanism by which methyl groups are added to DNA) has had less coverage to date. A study published by a collaborative group of researchers working at a number of health sciences, aging studies, biochemistry and biostatistics centers in the US, UK and Australia has claimed to have found a component of IEAA: a leukocyte enzyme known as TERT. The enzyme TERT (telomerase reverse transcriptase) plays an important regulatory role in the progression of another form of the biological clock, the telomere. Telomeres are complexes of DNA and proteins attached to various genes, and function as a ‘life bar’ for said gene. In other words, the gene’s ‘age’ is measured by the shrinking of the telomere over time. However, TERT has a negative regulatory effect on this process, and may also act to enhance DNA repair, prevent cell death and promote cell growth. Generally, the length of one’s telomeres indicates the length of one’s lifespan. The researchers conducted a genome-wide association study (GWAS) using genetic data from over 9900 individuals to assess the relationship between the TERT found in leukocytes (lTERT) and the ‘epigenetic clock’ of these blood cells. In addition, several specific gene variants associated with either IEAA or EEAA were identified. The study found that, contrary to conventional expectations, longer lTERT telomeres were significantly associated with the IEAA variants – in fact, one of these variants also co-located with the TERT gene. The researchers also conducted causal analyses that found relationships between TERT, lTERT length and IEAA. The scientists then decided to express human TERT in cultured fibroblasts, and found that these cells exhibited an epigenetic age equivalent to 50 human years at 150 days of being cultured, compared to an epigenetic age of 13 years in control cells cultured for the same length of time. Therefore, TERT expression resulted in a linear increase for DNA methylation profiles in vitro, whereas it may normally be expected to plateau over time. Interestingly, however, the TERT-expressing cells did not exhibit advanced senescence (the process of cellular ‘aging’ in culture) compared to non-TERT cells, so long as their culture medium was renewed regularly for the duration of the in vitro study (170 days). However, if the cells were split up into new dishes, their epigenetic age increased as their replicated in culture. This was also strongly associated with TERT-gene expression. This may reinforce the evidence that TERT plays a direct role in IEAA. The researchers also found that IEAA was correlated with reduced pulmonary function and brain volume over time (both linked to normal aging) in the 9900 subjects, and also with increased risks of some age-related neurodegenerative conditions. The latter was also correlated to EEAA, as were increased risks of schizophrenia, increased waist circumference and obesity-related biomarkers. In addition, the GWAS found that IEAA and EEAA were significantly and causally associated with total cholesterol and LDL levels. IEAA was also associated with triglyceride levels (an indicator for the risks of metabolic and cardiovascular diseases) in this way, and also with earlier age at the onset of menarche and menopause. It was also associated with a father’s age at death, which is a rough estimate of offspring lifespan. In general, the results of the study suggest that IEAA may be a prominent factor in the determination of mortality risks. Furthermore, it indicates that TERT is an at least partial driver for IEAA, both in vivo and in vitro. These findings may come as a surprise to many, given TERT’s conventionally-accepted role in the control of aging by conserving telomere length. Now, however, it seems the enzyme balances these actions out by contributing to intrinsic, epigenetic cellular aging. In summary, TERT genes that are active for longer (i.e. by way of longer telomeres) are associated with IEAA. On a positive note, this GWAS study on leukocytes may lead to the improved determination of mortality risks and probable lifespan. This may give people a better, more informed chance to make the behavioral and lifestyle changes that can modify some risks earlier on in life. Lu AT, Xue L, Salfati EL, Chen BH, Ferrucci L, Levy D, et al. GWAS of epigenetic aging rates in blood reveals a critical role for TERT. Nature Communications. 2018;9(1):387. Marioni RE, Shah S, McRae AF, Chen BH, Colicino E, Harris SE, et al. DNA methylation age of blood predicts all-cause mortality in later life. Genome biology. 2015;16:25.